I've always been fond of upholstered beds. I love the character that they can bring to a room. They can be simple, ornate, classic, trendy, traditional, modern, masculine and feminine. Basically they can be what ever you want them to be. 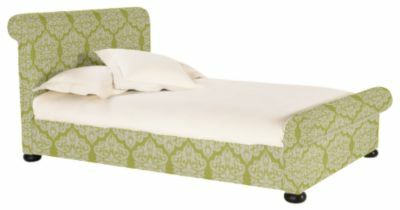 Here is a faux leather bed from Overstock.com. This Tuscany Villa Dark Brown Faux Leather King-size Bed has classic lines at a bargain price. It is a wonderfully masculine look that any man would love. Home Decorators Collection has added custom upholstered beds to their options. They offer a variety of forms from nail heads to no nail heads, wing back, etc. Their fabric options are somewhat limited, but you may find something you love. They do offer coordinating pieces to go with the beds. This Kenter Custom Arch Bed is one example of what they offer. 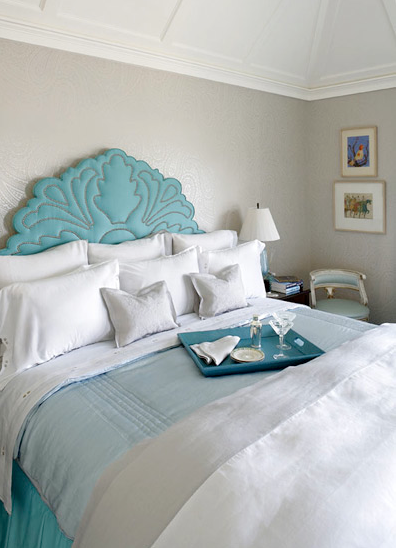 I love what can be done with truly custom upholstered beds done through workrooms. 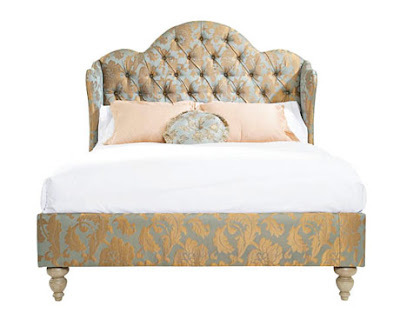 This bed by designer Jennifer Flanders is stunning. I just love the detailing that she created with nail head trim. Here is a beautiful bed found on the House Beautiful website. Elegant and so feminine. Here is a pair of custom upholstered twin beds by ARDEN Interior Architecture & Design done for the 2010 Hampton's Designer Showhouse. Consider adding some drama by upholstering the foot board too. 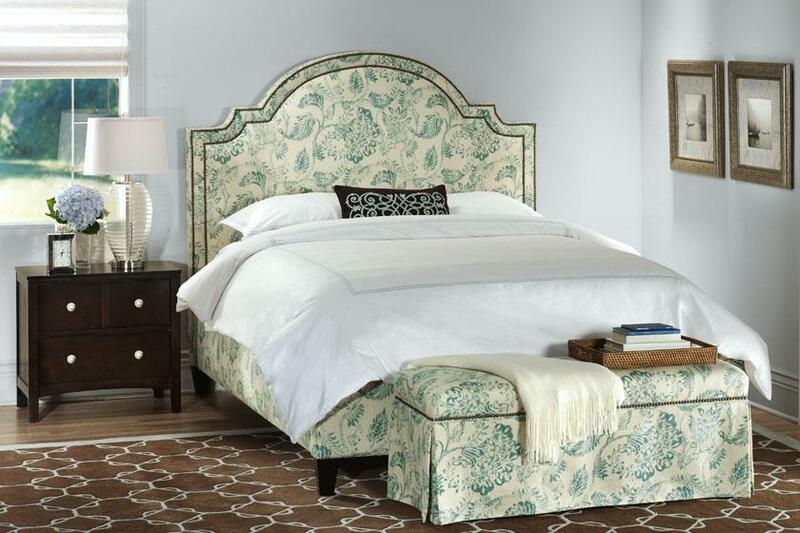 I love the nail head trim detail on this upholstered sleigh bed. With it's neutral color and classic styling, you just can't miss with this one! 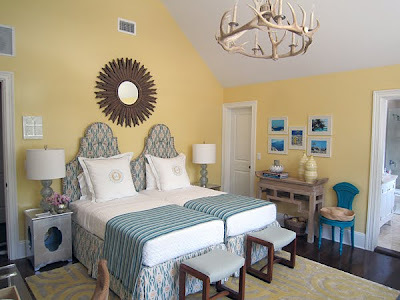 Since I am more fond of traditional design, that is mainly what I focused on in this post. 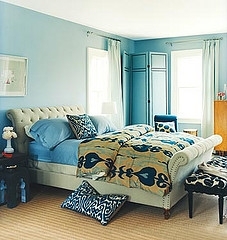 I have seen many lovely upholstered beds done in more modern styles as well.